The conversation around keeping your children safe has come a long way from not talking to strangers and being home before dark. 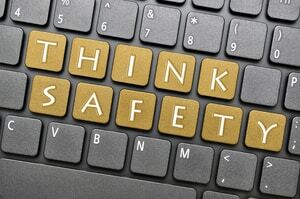 Internet safety for kids has become one of the most challenging parental discussions to have. It’s turning out to be a required conversation at a very young age. Children are interacting with the internet at higher rates than any other age group. The world wide web presents both a network of engaging content and opportunities for copious harmful interactions. It’s vital to have a comprehensive discussion about all the inherent dangers online. Internet safety for kids is not as simple as limiting what websites they can access. The myriad forms of communication alone are almost impossible to keep track of in real time. Rather than attempting to chase down all the potential dangers, it is far more efficient to educate children about digital responsibility and how to interact with the vast world of the internet. Coaching children on the classic dangers online like communicating with strangers, accessing inappropriate content, and opening files or documents they are not sure about is vital. Children can often see the internet as an “imaginary realm,” where online friends only exist in the online world. Parents must make it plain to children that anything that happens online can lead to physical dangers. While personal safety is paramount, it’s also vital to educate children on the impact their online presence can have. There is a plethora of examples of kids bullying or cyberstalking each other to the point of physical harm via online platforms. It’s just as essential to show the importance of being thoughtful of others online as it is to warn of other dangers. Children often confuse online security with unnecessary restrictions. It’s crucial to be honest with them about why security is so important. It can be difficult for the younger generation to understand such issues as stolen identities and hacking banking information. However, if you can teach them through certain behaviors and make them aware of potential danger zones, you will instill an appropriate view of online security. However, some standard ground rules are reasonable and beneficial. For example, using the internet in a shared space like the dining or living room. It can help to limit inappropriate online activities. If you encourage children to share any messages or information they find offensive with you, it will help to discover bullying or cyberstalking before it becomes too impactful. The key to the ground rules is being open and honest about why said rules exist. Clearly explaining what is good and bad on the internet will go a lot further than dictating what is off limits. Most operating systems take young family members into account with certain family-friendly features. Fortunately, these features go a lot further now than restricting certain websites or content. For example, parents can allot funds to the kid’s online account to use them in the app store. This can remove the temptation for children to spend unbeknownst to parents. Additionally, parents can limit the time spent online with timers, restrict internet content or certain apps, and block the adjustment of specific system settings. Online gaming has become more social than ever. Almost every game has some form of chat component, with many utilizing actual voice chat. Encouraging children to be wary of what information they divulge online is essential. While games are virtual and can always be reset, real information can put your family in danger. Consider utilizing a VPN while gaming. A VPN can hide the IP address from other users. An IP address could be used to locate your home, even if the child doesn’t give away your exact location. Internet safety for kids has become one of the most challenging aspects of parenting in modern times. Being honest about the dangers of online interactions is crucial. This, along with supplying legitimate reasons for online restrictions can ease the tension caused by discussions about the internet. 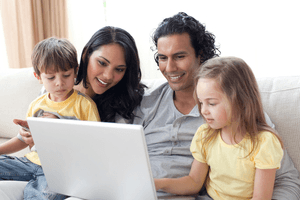 Model good internet behaviors for children by adhering to the same ground rules as you ask them to follow.